John McAfee is an information security pioneer who founded the global computer security software company McAfee. 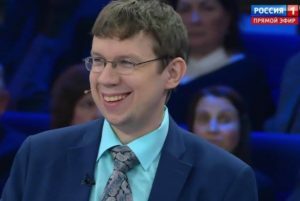 A highly influential figure in the field of computer security, he is a world renowned expert on internet surveillance, global hacking scandals and threats, and personal privacy online. 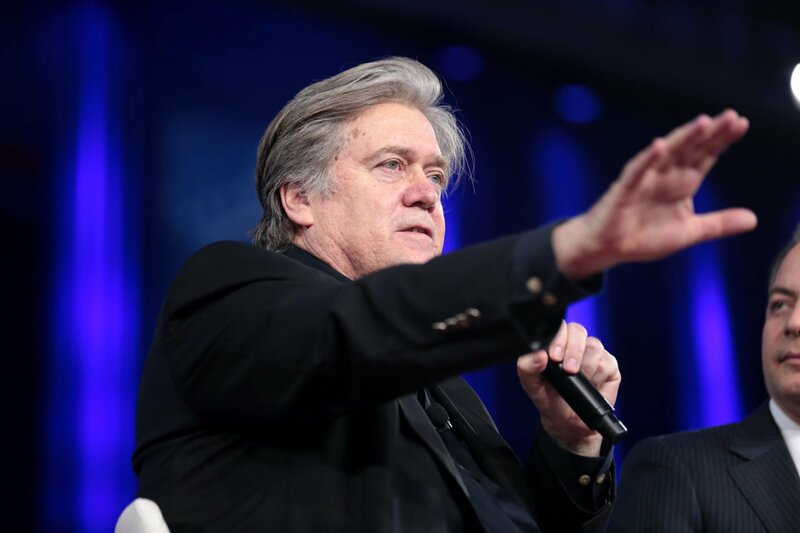 Born to an English woman and an American soldier in the 1940s, McAfee endured a difficult childhood. His father was an abusive alcoholic who committed suicide when John was 15 years old. In spite of his troubled childhood he proved to be a good student. However, he too became addicted to alcohol and drugs, and was prone to wild, eccentric behavior. He was working on his PhD when he got thrown out of the college for having a sexual relationship with a student he mentored. He later found a job as a programmer at NASA's Institute for Space Studies in New York City. A brilliant man, he easily found jobs at reputed organizations despite his bizarre behavior and addictions. After a series of jobs he put his entrepreneurial skills to good use and founded McAfee Associates, a computer anti-virus company which he later sold. His other business ventures include Tribal Voice and QuorumEx. 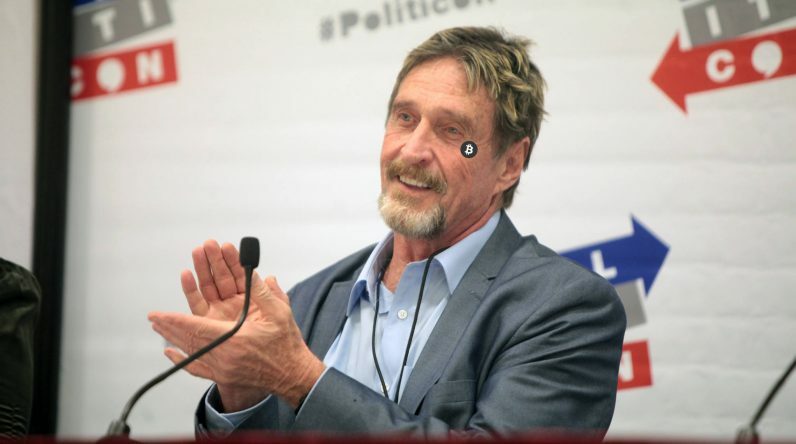 McAfee has announced plans to run for president in the 2020 presidential campaign. 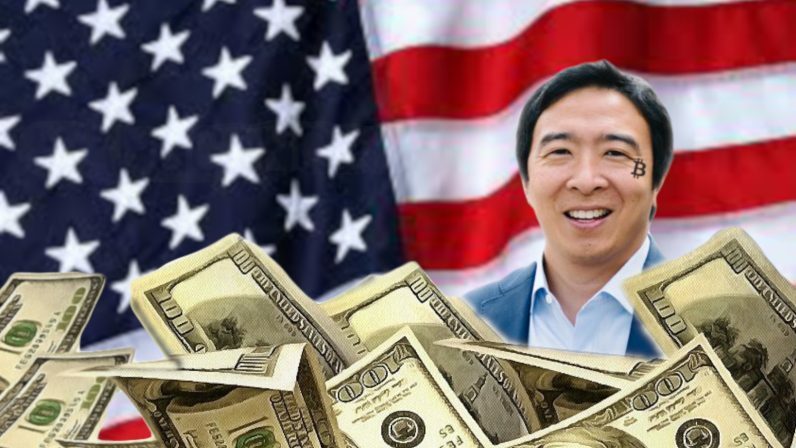 His primary platform is to promote the use of cryptocurrencies. 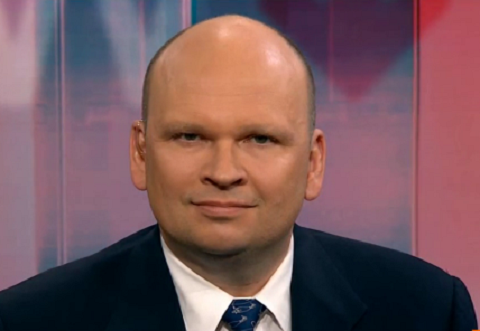 He stated that he will either again seek the nomination of the Libertarian Party, or form his own party. 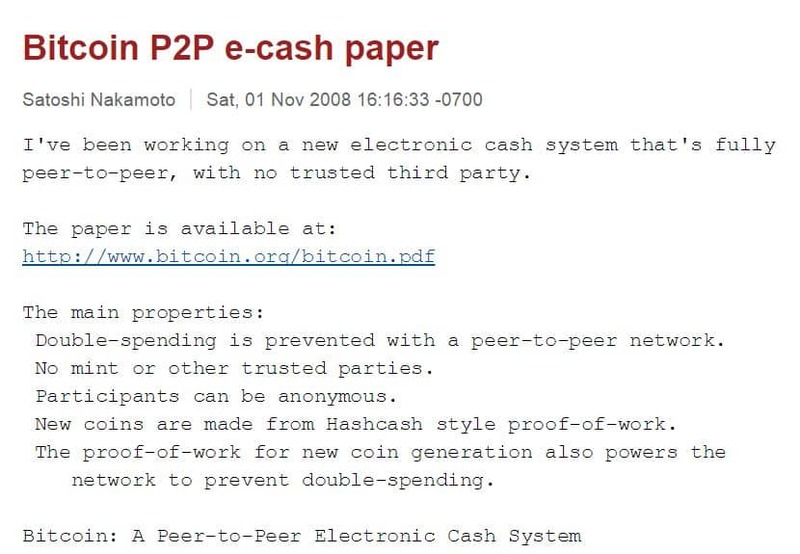 Satoshi Nakamoto’s identity has perhaps been the best kept secret of the whole crypto-verse. Since the creation of Bitcoin, the anonymous character chose anonymity as a way to protect himself and his creation. 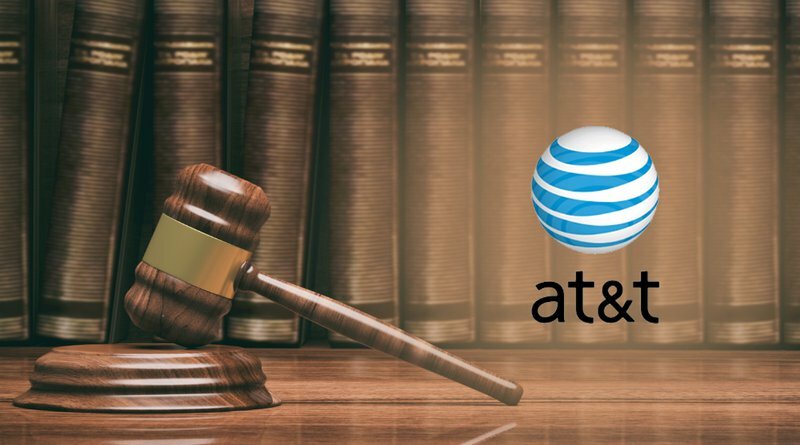 What a crazy few weeks its been for crypto law. 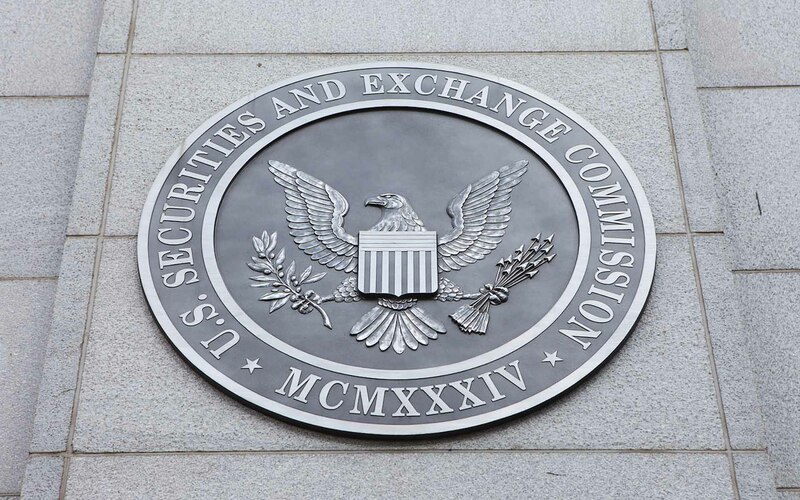 Earlier this month the U.S. Securities and Exchange Commission (SEC), known for enlisting heavy-handed regulatory measures, finally cleared the waters about initial coin offerings (ICO), releasing a guidance document, opening a “Crypto Specialist” job position, and publishing a no-action letter against a blockchain project. It is impossible for the bitcoin price to stay below $1 million by the year 2020, said John McAfee. 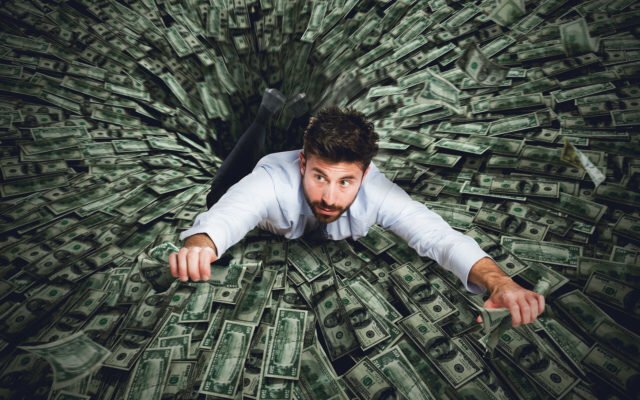 The star crypto trader on global investment platform eToro isn’t downhearted because he is no longer a crypto millionaire. 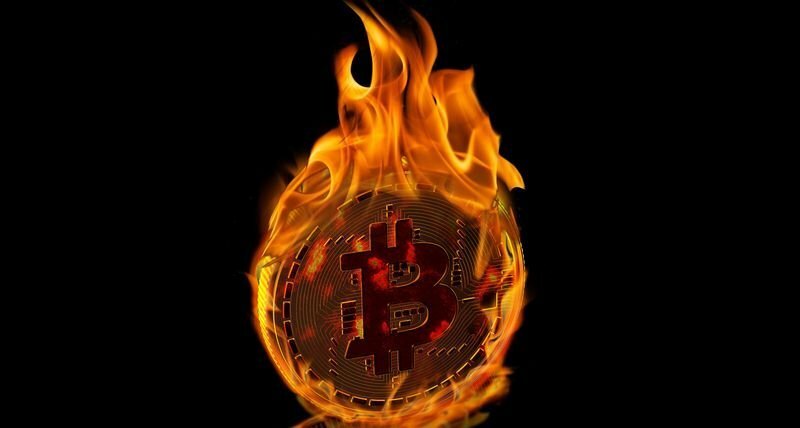 In case you haven’t noticed already, the crypto markets have been absolutely on fire over the last couple of days. The entire market for all digital coins and tokens has increased by more than an impressive $22.1 billion in just the first few days of April. 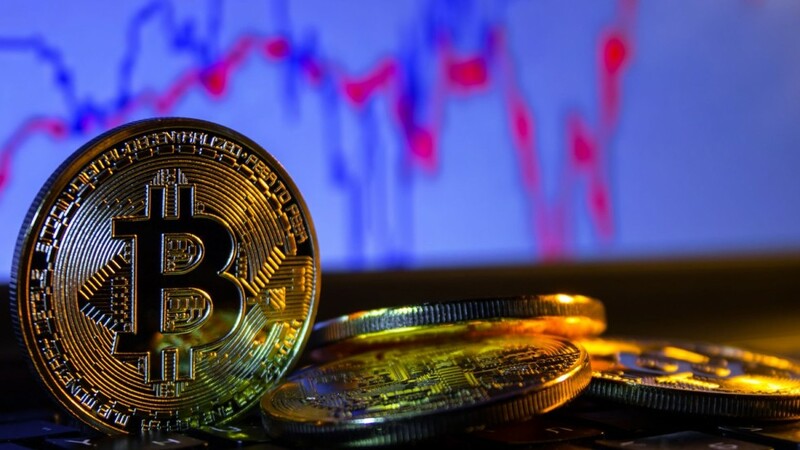 Popular investor and prominent cryptocurrency advocate John McAfee reiterated that the Bitcoin market “has now turned,” suggesting that the bottom is in. His announcement comes after Bitcoin price soared more than 20 percent in the last two days alone. 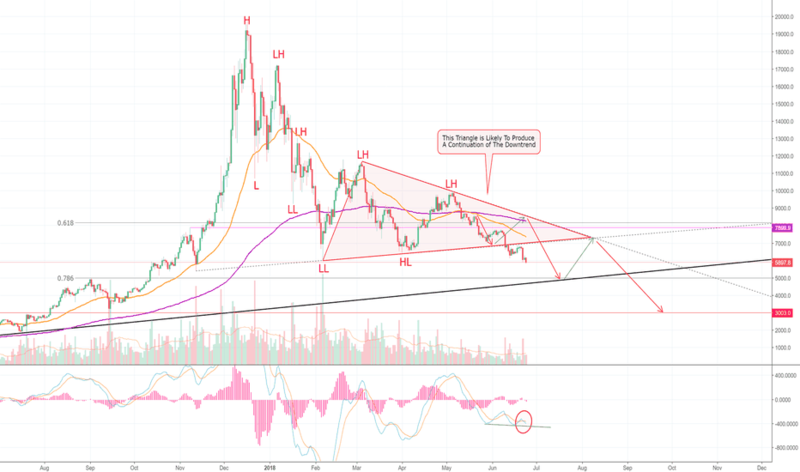 After reaching ATH in 2017, Bitcoin (BTC) started to fall until approaching the dangerous limit close to 3k, making it one of the most dramatic falls in history, however at the beginning of 2019 Bitcoin remained stable in the 3.5k zone, which led many to think the bearish market could be losing strength (not speaking of a bull run yet). 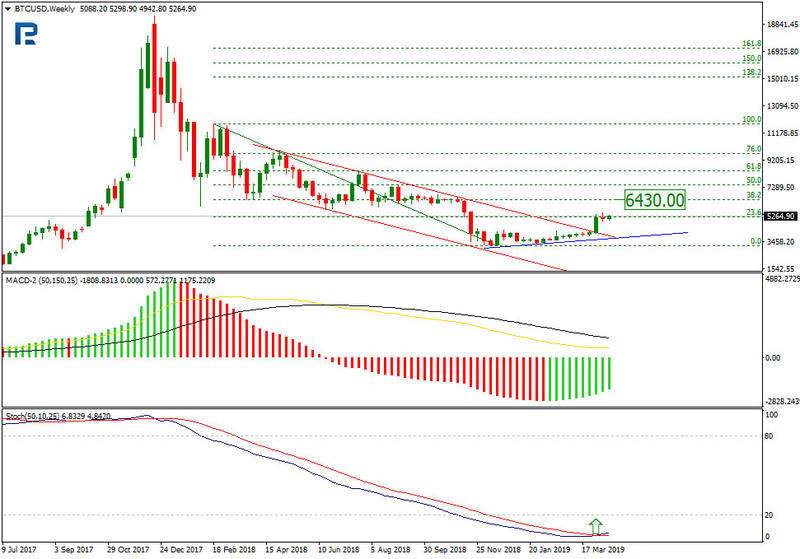 Bitcoin price bulls may already be seeing the answer to their prayers as markets gained upward momentum March 27, taking Bitcoin above $4000. Mike Novogratz, a long-time Bitcoin (BTC) bull, sat down with Morgan Creek’s Anthony “Pomp” Pompliano for the renowned Off The Chain podcast. 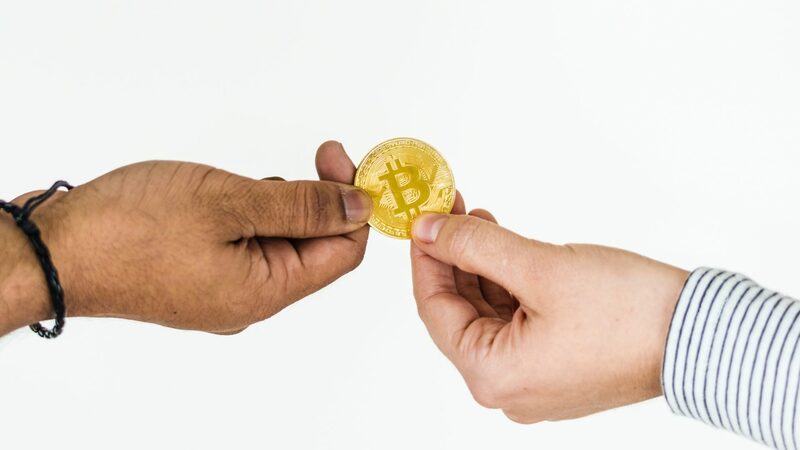 Reports indicate that in the interview, Novogratz, a Wall Streeter turned fervent crypto proponent, purportedly stated that while BTC is still valued of 1% of gold’s $7 to $8 trillion valuation, the crypto will reach there eventually. Most experienced Crypto users are well-aware of the means that must be undertaken to protect their wealth. 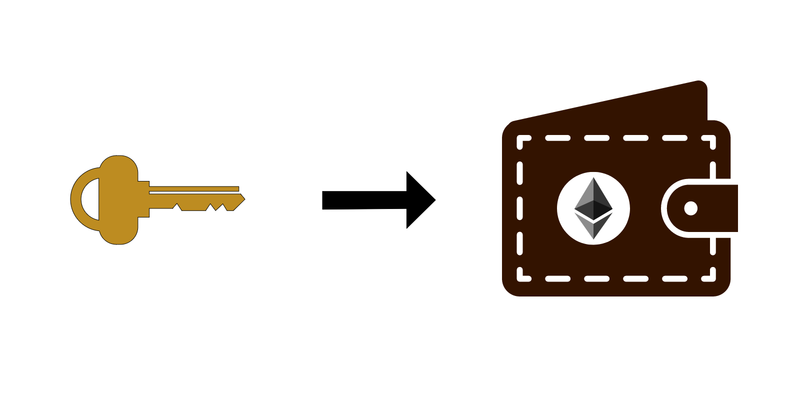 Thus, most experienced Crypto users strictly avoid hot wallets and opt for hardware wallets, as it’s widely known that hardware wallets can enable coin transfers without the security risks associated with hot wallets. The new Theranos documentary saw billionaire venture capitalist Tim Draper become the latest Bitcoin figure to take the cryptocurrency to mainstream consumer culture – accidentally. Is there even a relationship between the two? 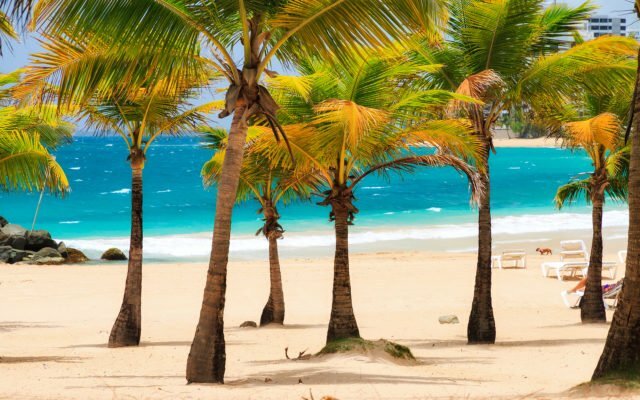 On Tuesday, Calvin Ayre, founder of CoinGeek, Ayre Group, and Bodog, posted a picture on Twitter of him “drinking rum with Cuban dance team in Havana.” He also posted a video of the team twerking. 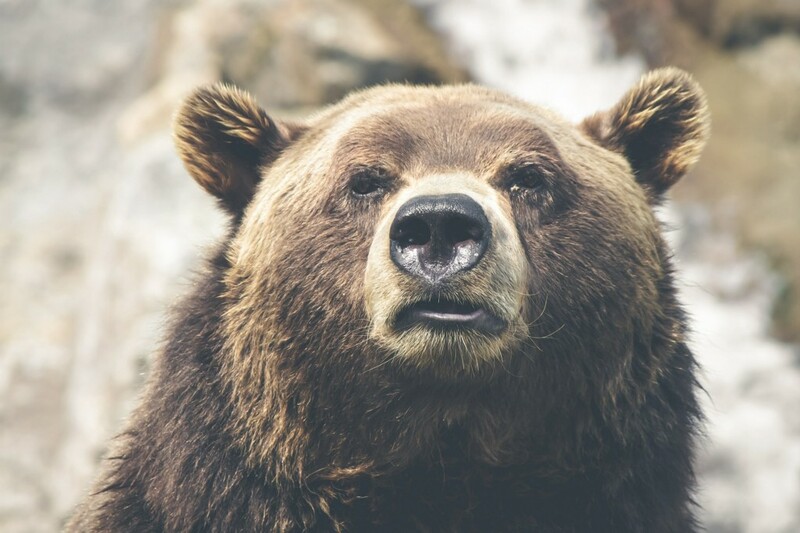 The crypto market has taken a big hit from Bitcoin’s record high valuation of nearly $20,000 in December of 2017, and while panic might seem to be the only reasonable choice given how low the market has gone, staying calm is vital in a bear market. 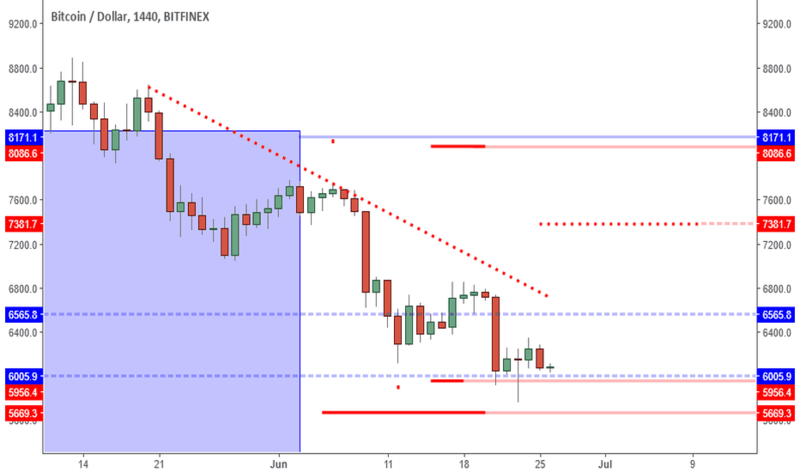 As the “crypto winter” extends and prices seem have once again resorted to an all-too-familiar sideways trading range, there is nothing quite like a shot of hopium to rekindle potentially dwindling passions. With that in mind, here are some of the most flamboyant Bitcoin price predictions of recent years. 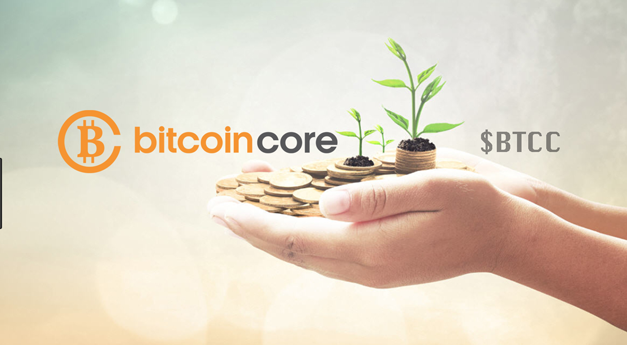 Since Bitcoin (BTC) was thrust into this world, its most fervent advocates understood that it was created to be a digital alternative to the incumbent financial system. While this underlying raison d’etre has been upheld over time, some pundits claim that the cryptocurrency won’t replace the fiat system. 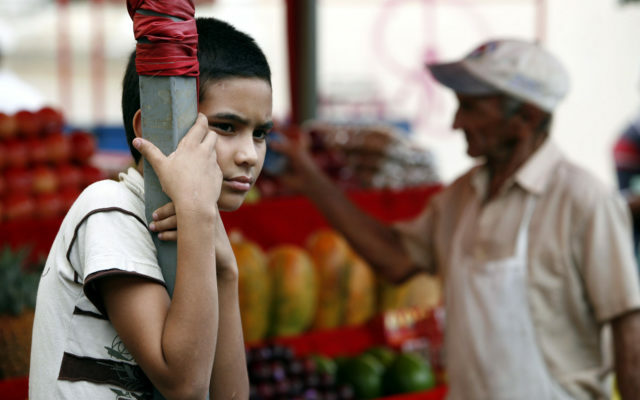 Most Bitcoin HODLers may be wondering when lambo and when moon, but in parts of Latin America, and particularly Venezuela, Bitcoin is saving people’s lives. 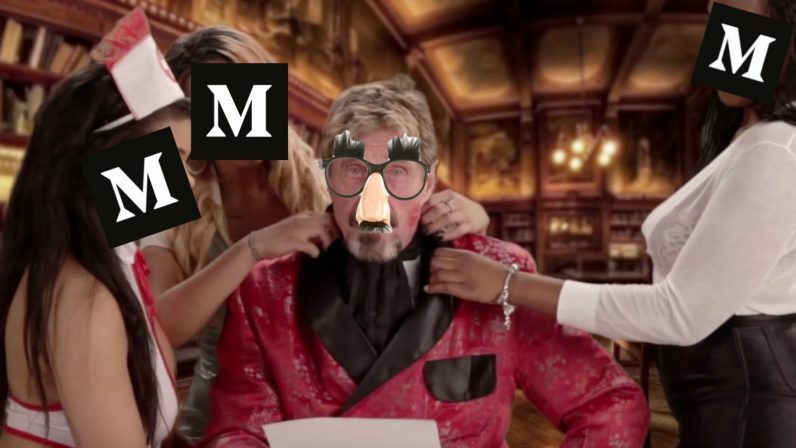 John McAfee is once again discussing the notorious wager he made back in November 2017 when he predicted that bitcoin will reach a million dollars before the end of 2020. 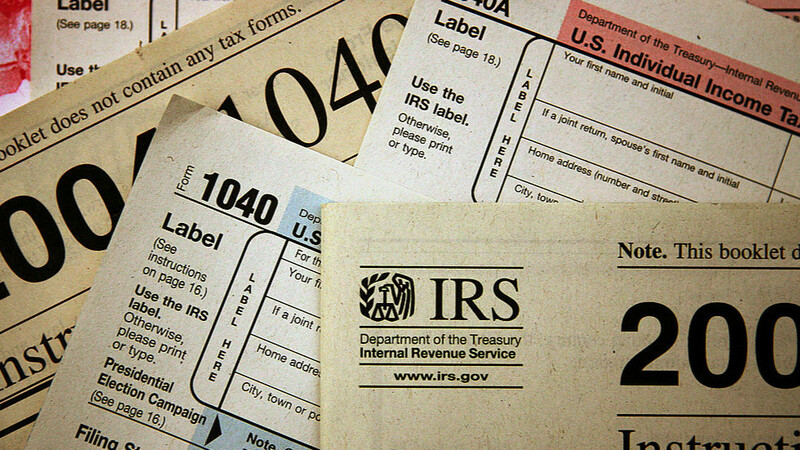 McAfee is reportedly on the run from the IRS, but his worries don’t end there: according to statistics, his bet is currently $37,000 light of reaching its $1 million per bitcoin target. In late-2017, when BTC was surpassing key levels each and every day, we reported that technology guru John McAfee made a prediction that Bitcoin would hit $1 million by the end of 2020. He put his manhood on the line. 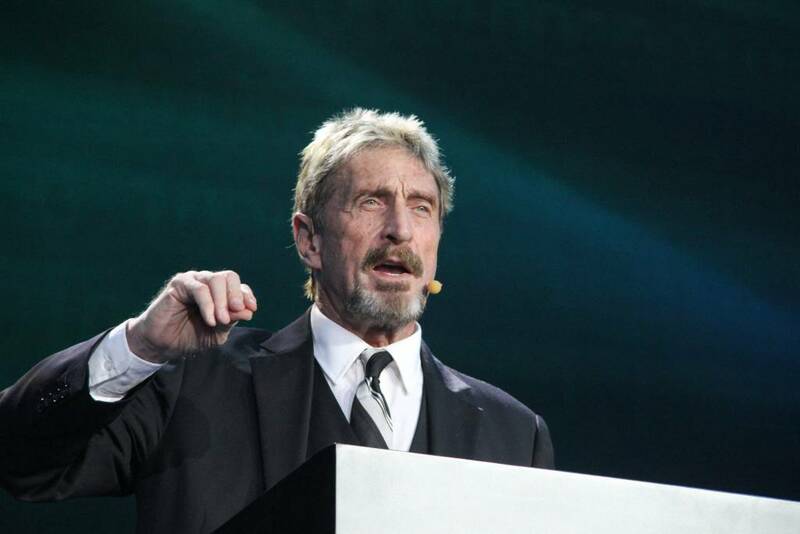 US Presidential Candidate and former ICO-enthusiast, John McAfee, has declared a ‘hard date’ for a bitcoin price of $1 million. This followed a prediction of “$1 million… someday” by Jesse Lund, vice-president of blockchain and digital currencies at IBM. 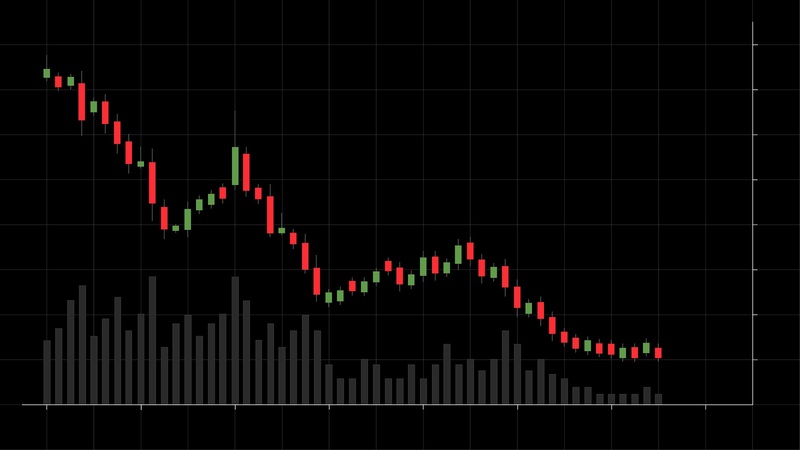 Despite the interest of major cryptocurrency exchanges in pursuing the DEX model, decentralized exchanges have hit an all-time low in terms of USD traded value. Ex-Starbucks Chief Howard Schultz Likely Set to Replace Trump: What’s in It for Bitcoin? CoinSpeaker Ex-Starbucks Chief Howard Schultz Likely Set to Replace Trump: What’s in It for Bitcoin? 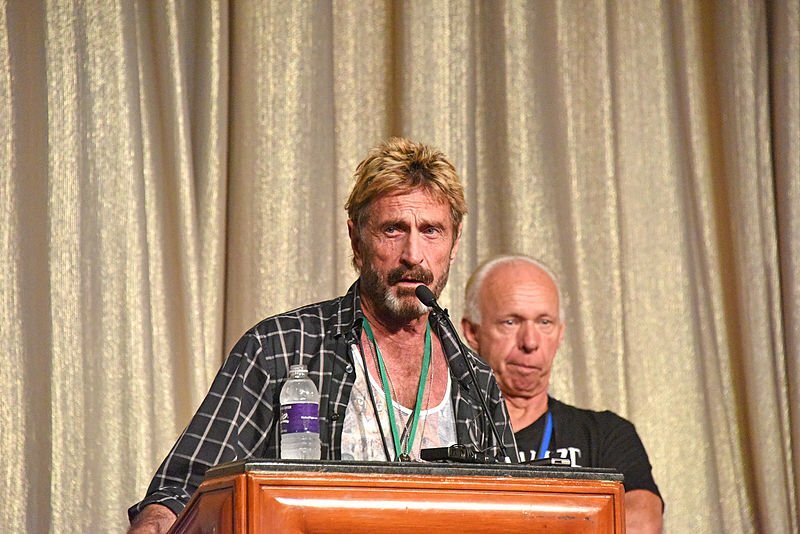 Crypto wild man, anti-virus pioneer, and 2020 presidential candidate John McAfee took to Twitter this afternoon with an dire pronouncement: “We are, today, at war,” he says, sitting on the deck of a boat, drink in hand. American flags wave in the sunshine behind him. 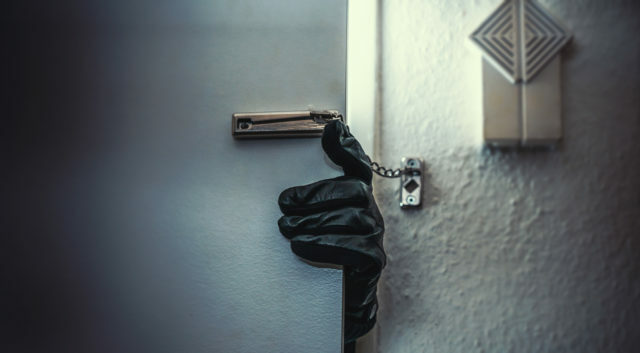 Hackers stole over $1.8 billion in 2018 from crypto exchanges. 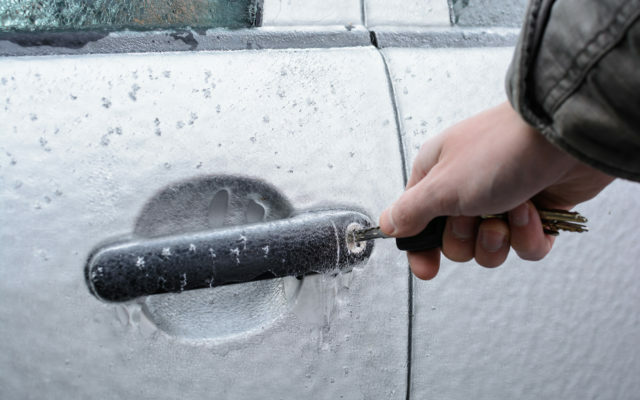 So, if you’re still trusting one with your private keys, you really ought to know better. 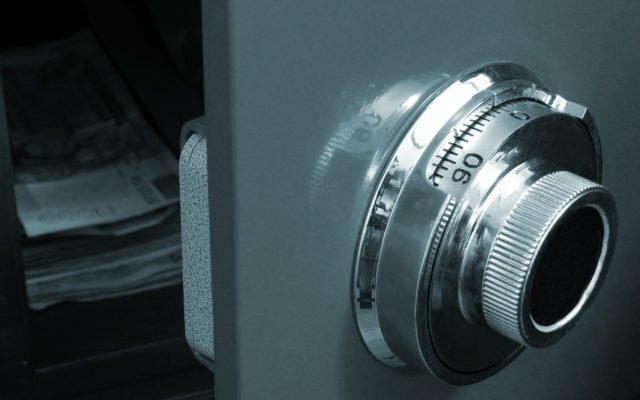 But if you’re too busy or too lazy to set up a hardware wallet for your funds, at least you should know where exchanges rank when it comes to cybersecurity. According to a report by CER and Hacken, not very well. The Russian government is unwilling to allow the unilateral economic sanctions imposed by Donald Trump’s government to further affect its economy and may be considering a forceful measure to combat American power in this current diplomatic war. After enjoying a rather positive wave of momentum it seems the Ethereum price action is stuck in sideways momentum again. Despite a minor gain in USD value, the losses in ETH/BTC are piling up fairly quickly. This has some users concerned, even though it seems no real changes should be expected prior to the upcoming Constantinople hard fork. 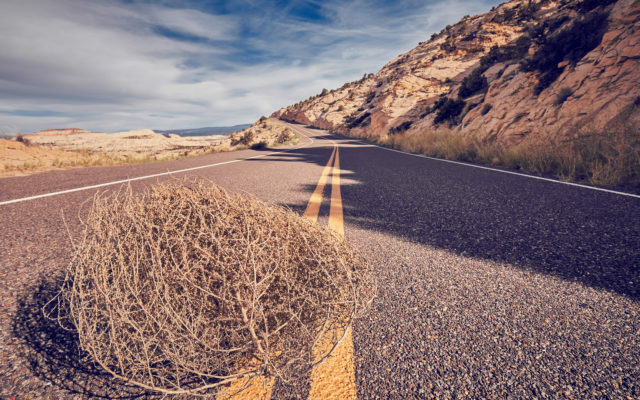 Some of cryptocurrency’s best-known names have joined public calls for exchange HitBTC to explain itself after it began halting withdrawals days before a significant event. Here comes the New Year! Please stop irresponsibly predicting cryptocurrency prices! 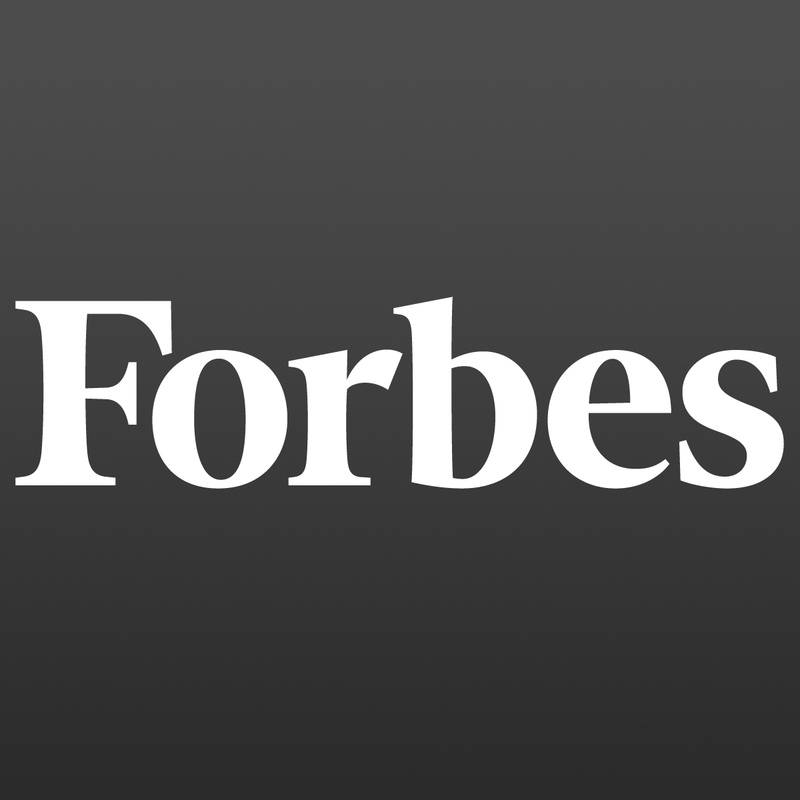 Disclaimer: The views and opinions expressed in this article are solely those of the author and do not necessarily reflect the editorial viewpoint of The Block. 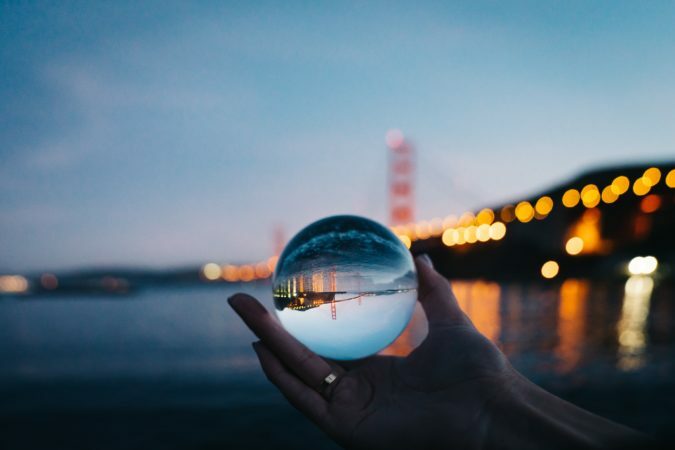 Crypto Year in Review: How Bitcoin (BTC) Performed in 2018 and What Hides in 2019? CoinSpeaker Crypto Year in Review: How Bitcoin (BTC) Performed in 2018 and What Hides in 2019? 1> During every visit to hospital, you are required to fill a long form which enlists all the allergies and the ailments you have had before the current checkup. Hospitals have this procedure so that they can provide accurate services to you. “… But what if the government was to turn the internet off..?” I am sure you have all heard this argument before when you have been explaining to someone how robust the Bitcoin security model is and how even Interpol would be biting off far more than they could chew by attempting to bring the network down. This week the crypto-sphere has been awash with talk about Samsung and its next generation flagship phone coming loaded with crypto goodies. While the company itself has dismissed the story according to reports, rivals are shipping out products that will no doubt keep Samsung on its toes. Through a series of tweets, starting a so-called “tweetstorm,” Bobby Lee, the co-founder of BTCC and the brother of Litecoin creator Charlie Lee, hinted at an extremely bullish prediction for Bitcoin (BTC). This tweetstorm, which began on Friday, saw Lee, a long-time cryptocurrency proponent, pose optimistic hypothetical scenarios to his social media following. Good morning. David Meyer here, filling in for Alan one more time this year before I take a few weeks off to enjoy the South African sunshine. 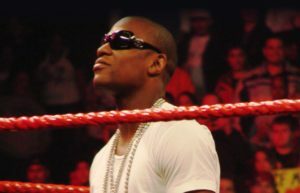 The impassioned crypto community on Twitter, specifically prominent commentators and analysts, took up arms over the weekend, as the U.S. Securities and Exchange Commission (SEC)’s indictment of DJ Khaled and Floyd Mayweather became an industry flavor of the month. But why? 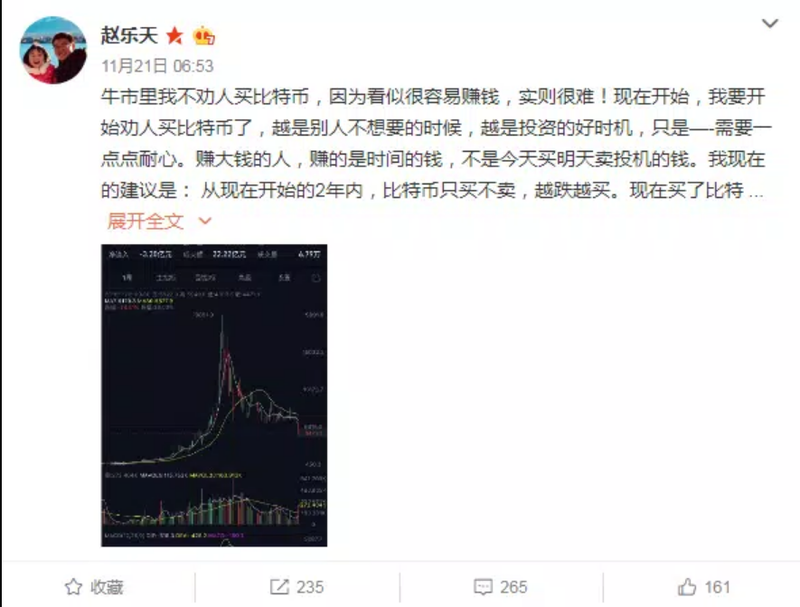 Zhao Dong, one of China’s most influential “Bitcoin Billionaires,” recently addressed his followers on Weibo (better known as the “Chinese Twitter”), to convey his optimism about the future price of Bitcoin. 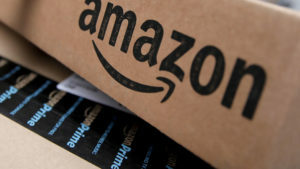 If the present cryptocurrency price drop is akin to the dot-com crash of 2000, then Lou Kerner believes Bitcoin will be the Amazon of the cryptocurrency era. The top-ranked virtual currency is currently down 77 percent from its mid-December all-time high. 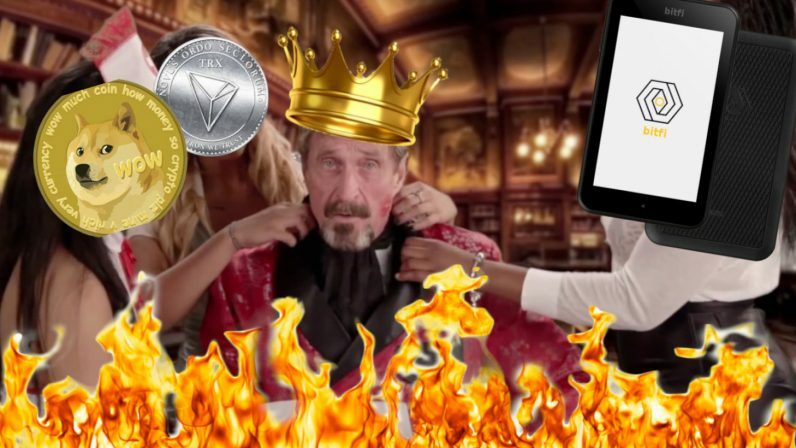 Often controversial but always entertaining, John McAfee is without a doubt one of the loudest voices in crypto on social media. 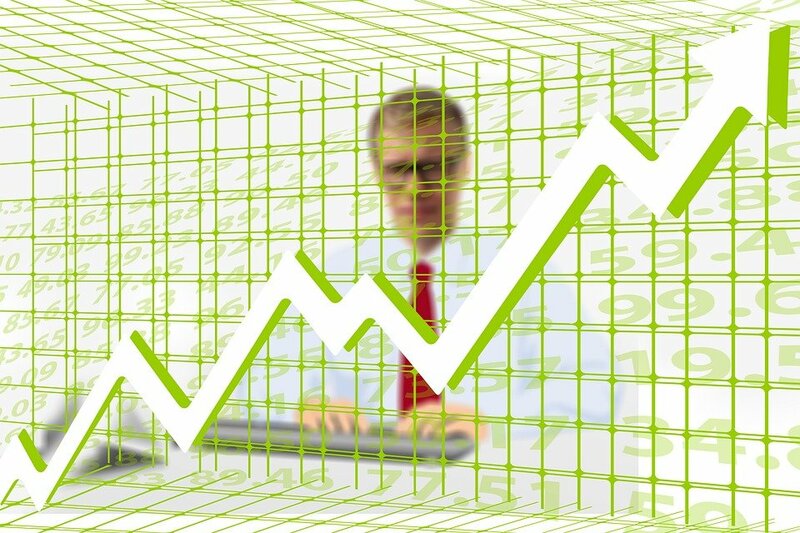 And a recent study has found that the old master shill is in fact the most influential figure when it comes to trading coins. On Tuesday morning, as Bitcoin (BTC) established a fresh year-to-date low under $4,400 amid a market-wide bout of (possible) capitulation, Bobby Lee, the co-founder of BTCC and the brother of Litecoin’s Charlie Lee, took to Twitter to drop a few ‘knowledge bombs’, as it were. Bitcoin’s big names came together to reassure “panicked” investors November 20 after the BTC price today slid beyond recent lows to hit $4500. The crypto world has seen lots of online exchanges between two rival Bitcoin Cash camps over the last few weeks. However, the real concern is just how much this battle will impact Bitcoin, now that the planned system upgrades or forks have gone live. 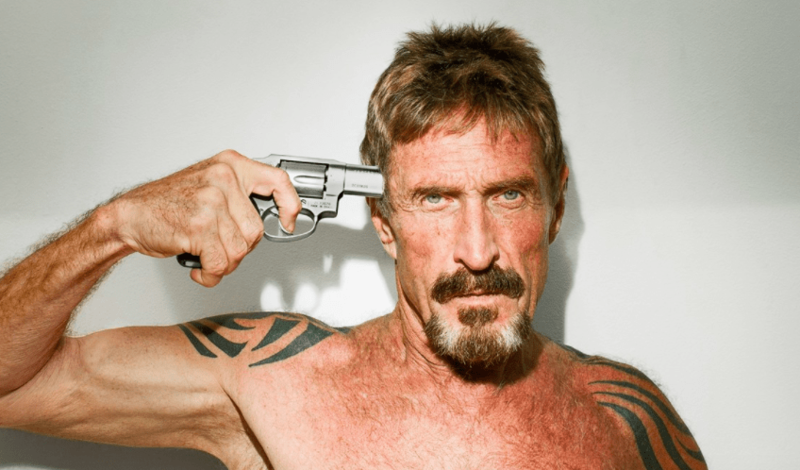 In the ongoing battle of Bitcoin Cash, John McAfee has taken to Twitter pledging his allegiance to Jihan Wu. Wu, along with Roger Ver, is one of the main proponents of the ABC version of BCash. Recently, there has been a storm brewing in Bitcoin Cash (BCH). 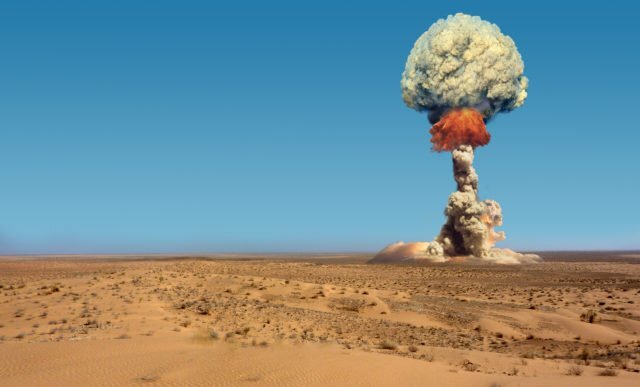 Two upgrades to the underlying software of Bitcoin Cash threaten to split the coin in two, and both factions are determined to fight all-or-nothing to determine the fate of Bitcoin Cash’s next upgrade. 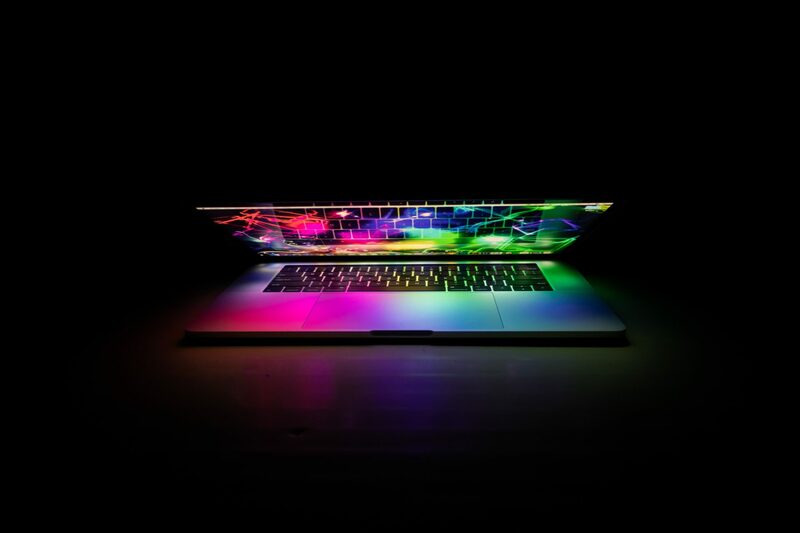 McAfee Labs has announced the discovery of WebCobra, a Russian coin mining malware which explores victim’s computing power. 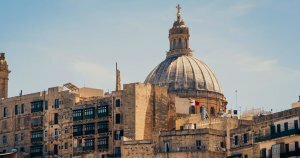 The last several days in Malta have been bustling with activity as the Malta Blockchain Summit took place last week. The event had over 400 companies exhibiting their innovative ideas, services, and digital solutions with thousands of people in attendance. 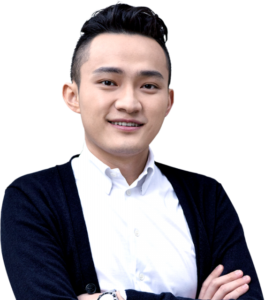 Justin Sun has become a crypto-celebrity. Some consider him an example to follow while others merely label him as a charlatan. 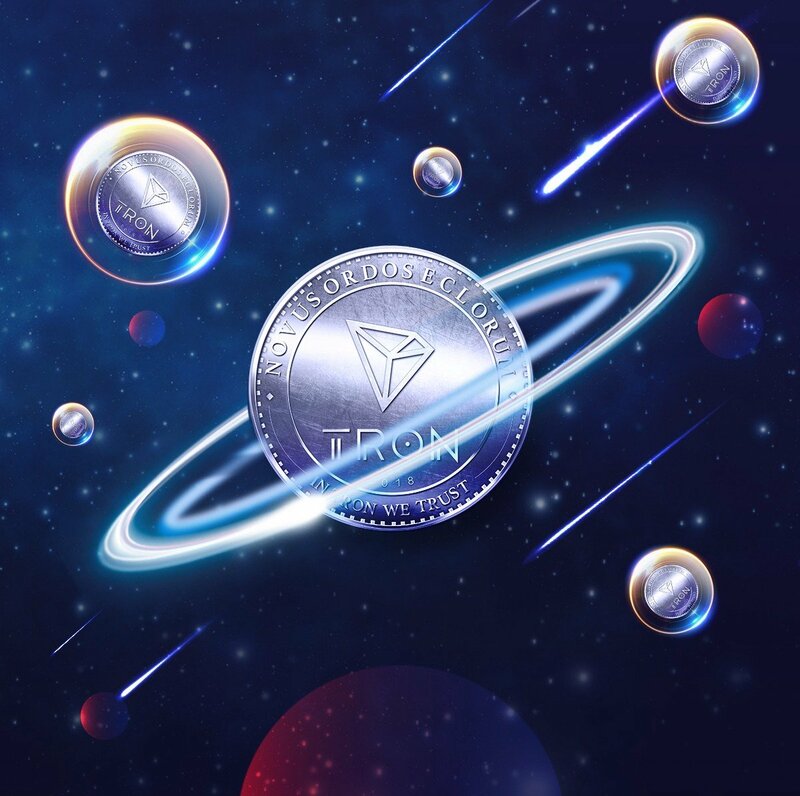 The truth is that despite what people think, nobody can deny that today Tron TRX is one of the cryptocurrencies with more media presence, surpassing even projects with a larger market cap. Lionel Messi – the Barcelona playmaker that is often described as the most naturally talented Soccer player of all time, is to endorse the world’s first blockchain mobile phone, as reported by UK newspaper The Independent. The organization behind the project, Swiss-Israeli-startup Sirin Labs, claim to specialize in multi-layer cyber security through the utilization of blockchain technology. 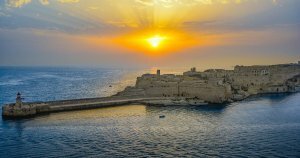 Malta’s relevance as a “blockchain island” is set to increase in the coming weeks, as the small geography plays host to some of the world’s premier speakers, evangelists, and ministers as part of the Malta Blockchain Summit 2018. Once again the Twitter account of a well-known Tesla’s founder became a reason for fierce debates unrolling within the global community. This time Elon Musk has caught attention of the crypto-public while touching the Bitcoin theme in one of his tweets. Cryptocurrency hardware wallet manufacturer Ledger has sold over 1.3 million units as of this month, the company revealed in a blog post October 10. 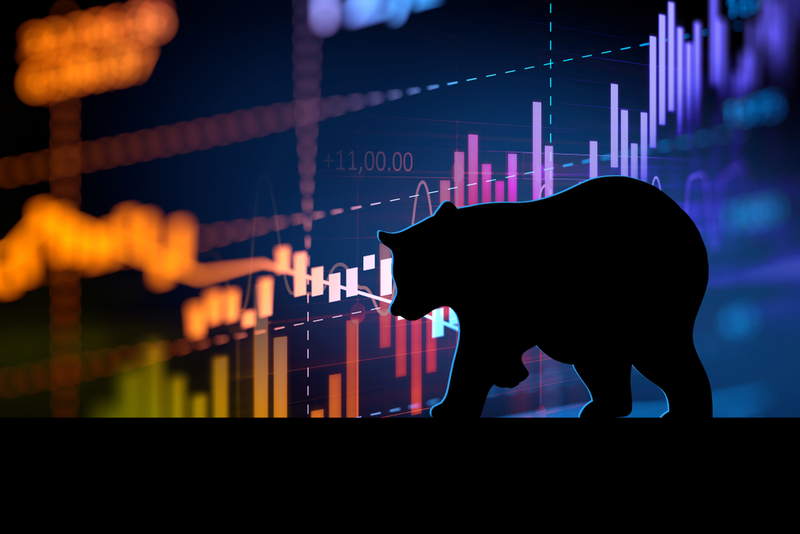 Moving into the final quarter of 2018 may be tempting to start the annual reflections and start speculating on what 2019 will bring. However, the year is far from over. There is still an impressive lineup of crypto and blockchain events happening over the next three months. There are some interesting things happened in the world of altcoin trading. 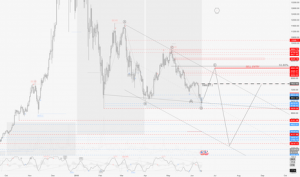 As of right now, the Bitcoin price is still stuck in sideways momentum, but things might change fairly soon. The Steem price, for example, shows things can get pretty interesting with very little trading volume. 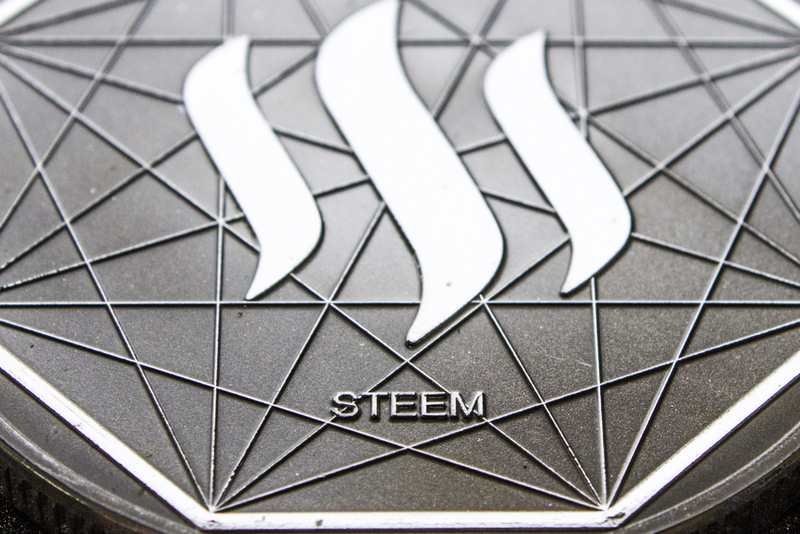 There is a nice uptick which pushes the Steem price above $0.85 again. It’s been a wild year for cryptocurrency prices thus far, exemplified by the meteoric rise and subsequent crash of granddaddy Bitcoin. After cresting a high of more than $19,000 in December, Bitcoin’s price tumbled down to less than $6,300 in early February. 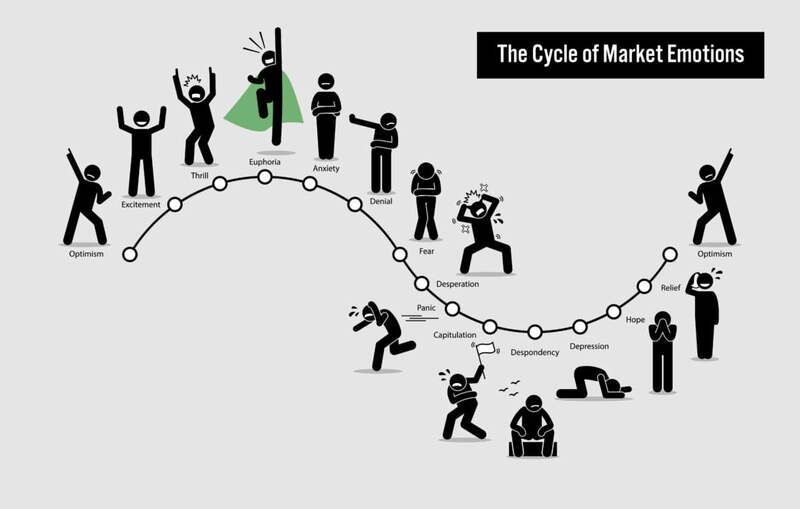 Since then, it’s vibrated at a relatively low range while the market as a whole made several false starts. Decentralized Exchanges, commonly referred to as DEXs in the crypto community, have flowered into quite the hot topic in the past months, as a series of exchange platforms and promising startups have unveiled plans to launch their own decentralized platforms, which will allow users to trade any variety of crypto assets without an intermediating party. Christine Lagarde, head of the International Monetary Fund (IMF), said the world is on the verge of another financial crash. 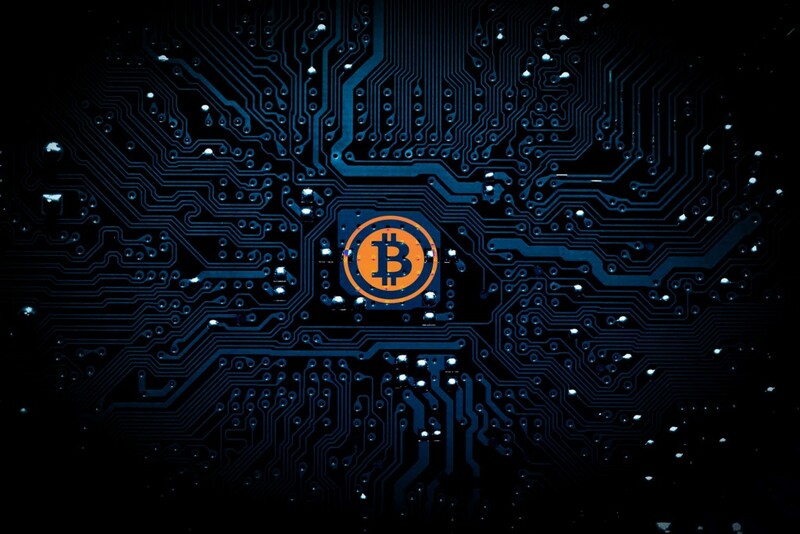 The increased cybersecurity risk coming from the rapid development of financial technologies such as digital currencies is a reminder that the permanent evolution of the financial system requires vigilant regulators and supervisors, she added. 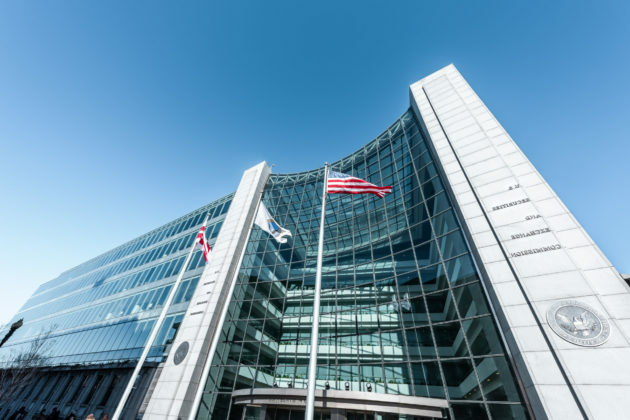 As made quite apparent by the recent regulatory crackdown on 1Broker, a lesser-known crypto trading platform, centralized exchanges are becoming increasingly susceptible to external risks, like regulation and manipulation. Hence why many believe that secure, efficient, no frills attached decentralized exchanges (DEXs) can’t come fast enough. Some have called Bitcoin a fraud and others have suggested that cryptocurrencies are in a bubble that will eventually burst. This is 2018 and Bitcoin is still breathing, holding on strong and making us believe. From the 1 st to 2 nd November, over 5000 delegates, hundreds of investors, 100 speakers and 300 sponsors and exhibitors will converge on the Blockchain Island for premier networking opportunities and of-the-minute conferences. 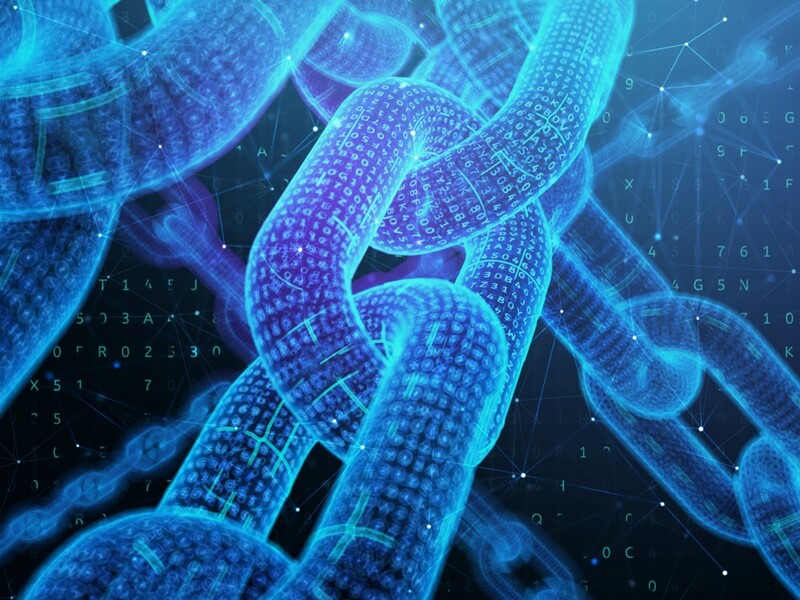 Through the noise of 2018’s turbulent market, the key players in blockchain have persisted with the grim resolution to build something bigger, better, and brighter. Timed precisely with the launch of Malta’s groundbreaking DLT legislation, Nov. 1st, a division of these troupers will cross paths at Blockchain Island’s inaugural, government-backed conference, Malta Blockchain Summit. In today’s edition of The Daily, we’re focusing on human interest stories. Tales involving people rather than products, as a reminder of the many ways in which cryptocurrency affects people’s lives, transforming them for the better. 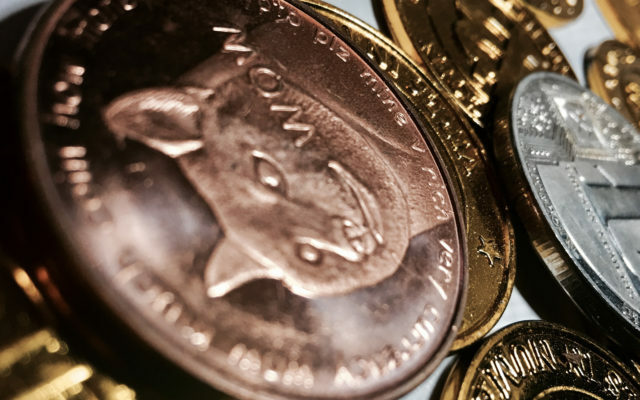 From Australia to China, Thursday’s roundup is as borderless as bitcoin itself. 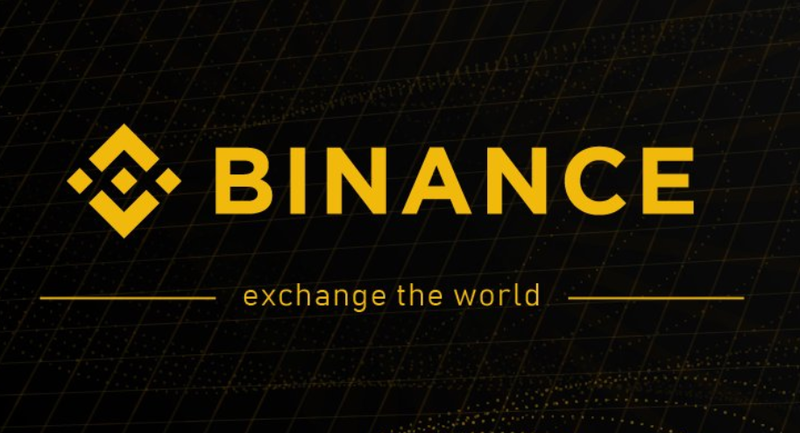 On Friday morning, Bitfinex, a leading crypto exchange that is based in Hong Kong, released an important message via its official Twitter account, letting its over 450,000 followers know that it would be launching a decentralized exchange (DEX) platform in the upcoming months. 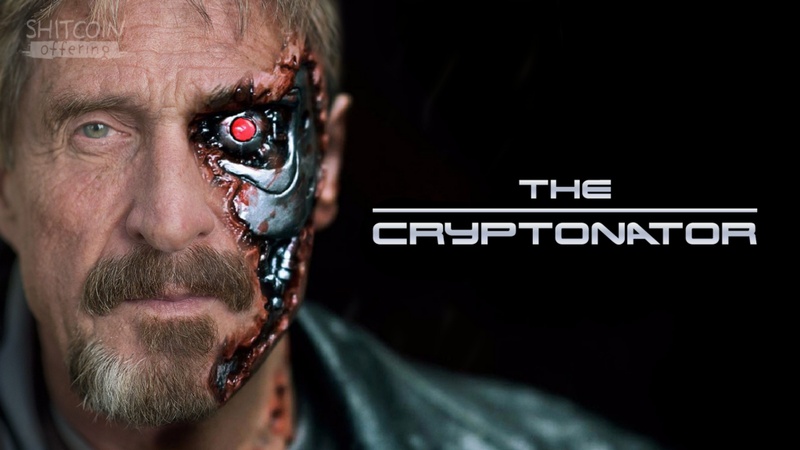 In a recent interview with BoxMining, a well-known cryptocurrency commentator and social media influencer, decentralist and cryptocurrency proponent John McAfee highlighted his opinion on current state of this nascent market and what lies in store crypto assets and blockchain over the mid to long-term. 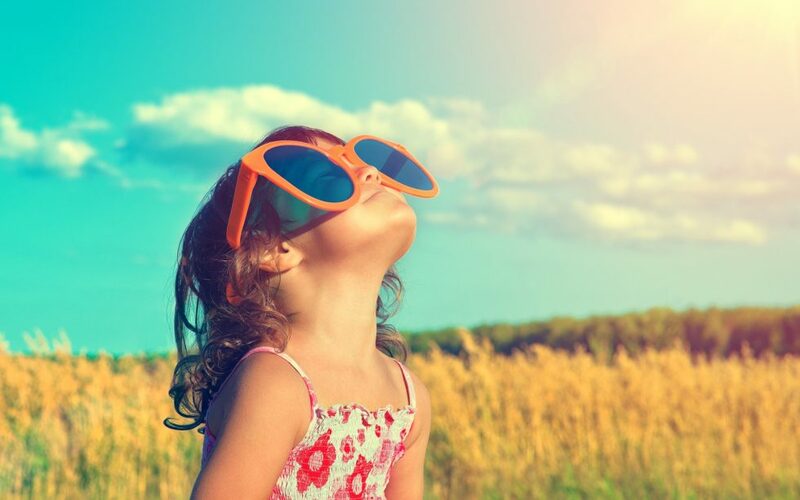 Despite the skyrocketing growth that the crypto market experienced in 2017, this year its future doesn’t look so promising as it seemed last year. But is it really so? Ticket sales are moving at an unprecedented rate, and as the date to the summit edges closer, it is anticipated that attendee numbers will be in the region of 5000+. The debate between Bitcoin and its hard-forked Bitcoin Cash continues to stir in the global cryptocurrency community. On Coinsbank’s third Blockchain Cruise, Bitcoin Cash supporter Roger Ver and author Jimmy Song will discuss the benefits of the competing blockchains. Next Monday will witness an eagerly anticipated debate between two of bitcoin’s leading figures. Bitcoin.com CEO Roger Ver and Bitcoin Core developer Jimmy Song will go head-to-head aboard a blockchain cruise on the Mediterranean. The debate promises to be one of the highlights of the three-day event, watched by 2,500 delegates aboard Coinsbank’s chartered vessel. All cryptocurrencies are on the verge of noting some interesting gains over the next hours and days. The Bitcoin momentum remains firmly in place, yet it is the Monero price which is getting everyone’s attention as of right now. A very strong increase has pushed its value above $138 again, particularly when looking at some of the recent ecosystem developments. 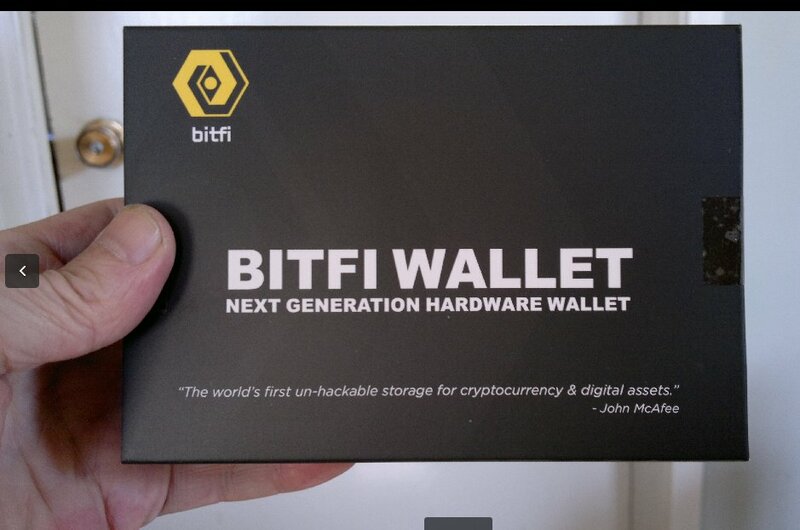 The Bitfi wallet touted by John McAfee has disavowed its claims of being unhackable as research reveals security flaws. Despite this, McAfee stands by his word. The controversial McAfee-backed Bitcoin wallet, Bitfi, has withdrawn their claim of being “unhackable” from their website following a series of notable hacks. Wallet solution Mycrypto has raised $4 million to build a platform allowing users to create new wallets, the full details of which are in this edition of The Daily. Also, the wallet advertised by software guru John McAfee, Bitfi, is removing the ‘unhackable’ claim from its branding, an Islamic crypto exchange applies for a license in Malta, and Eminem’s new album features bitcoin. It is surprising to see that Binance Q1 2018 profits is greater than Deutsche Bank’s with the exchange driving very close to that of Nasdaq’s. This is telling the world that cryptocurrency has come to stay. If the security community could tell you just one thing, it’s that “nothing is unhackable.” Except John McAfee’s cryptocurrency wallet, which was only unhackable until it wasn’t — twice. 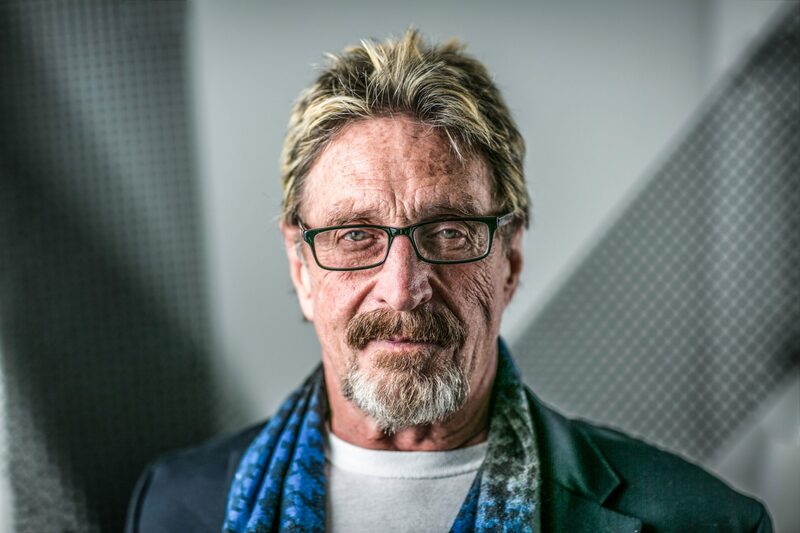 The Malta Blockchain Summit continues to raise the bar with the legendary John McAfee confirmed as a top speaker for the November show. 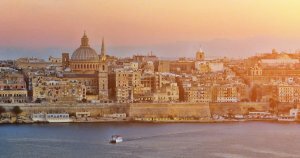 The Malta Blockchain Summit is taking place at the InterContinental in St Julian’s, Malta, and brings with it four conferences and a massive, sold-out expo floor. For cryptocurrency insiders suffering from conference fatigue, it might be tempting to block out your agenda for the rest of the fall. 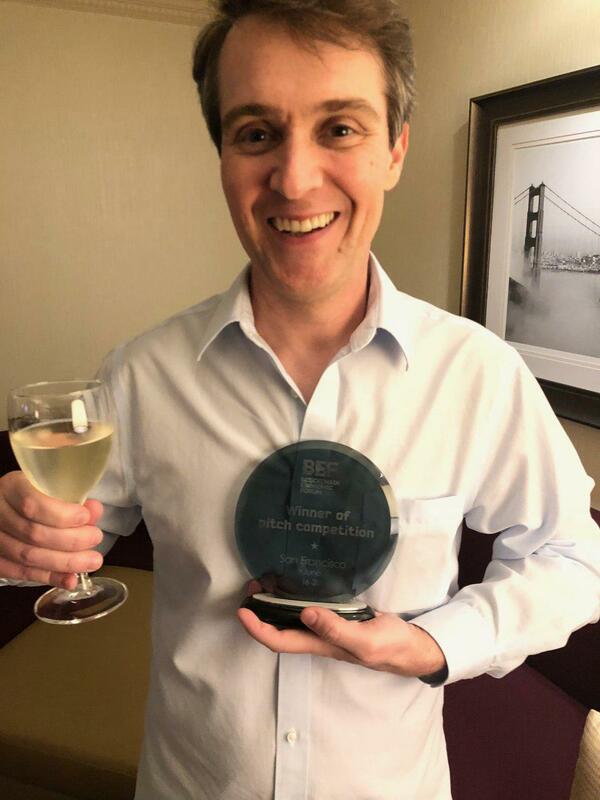 With many of the heavy hitters like Consensus already over, don’t be fooled into thinking you’ve seen this year’s best. 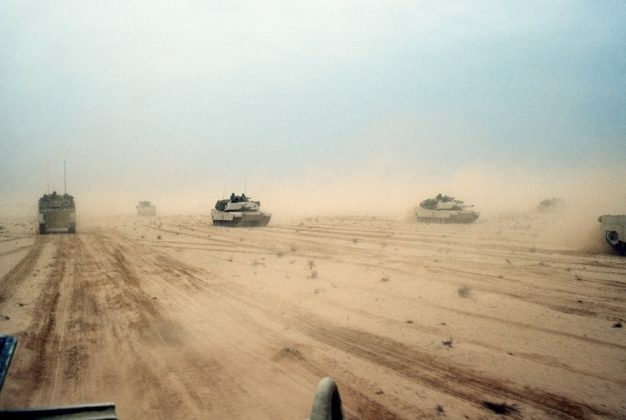 In an industry moving faster than a bullet train, there’s plenty of new developments to come. 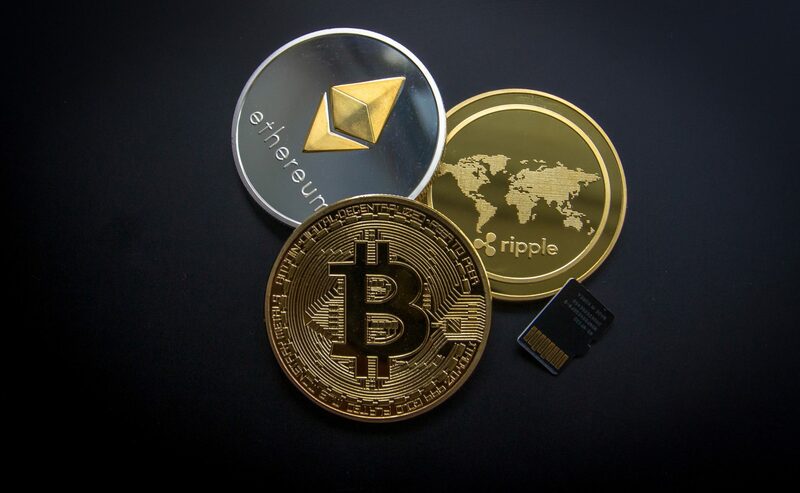 Cryptocurrency adoption has gotten a new dimension now that Yahoo Finance has integrated the buying and selling of Bitcoin (BTC), Ethereum (ETH), and Litecoin (LTC) on its platform. 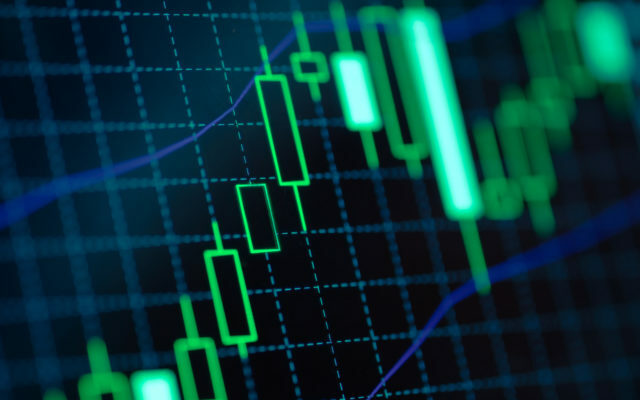 At the moment, Ripple’s XRP, Stellar XLM, Bitcoin Cash and a host of others do not have buy and sell options on the platform. 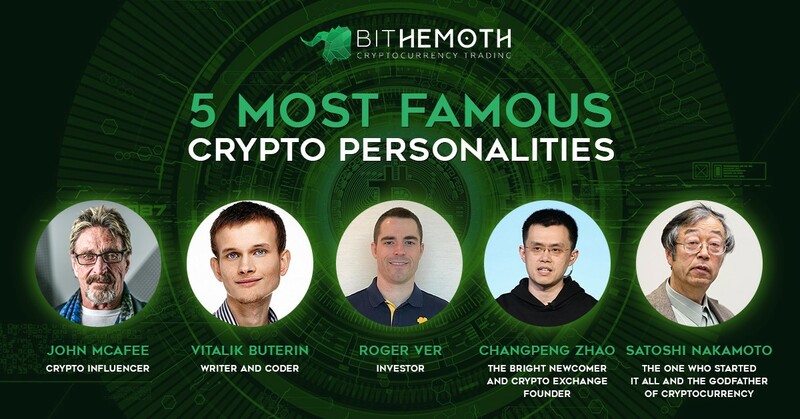 The fact that cryptocurrency has become a “phenomenon that the famous personalities of the crypto sphere are almost at par with the popularity of Hollywood stars” has made an exchange release the list of 5 Most Famous Crypto Personalities. Social network platforms are about much more than serving as glorified photo albums or ways to stay in touch with friends and family. 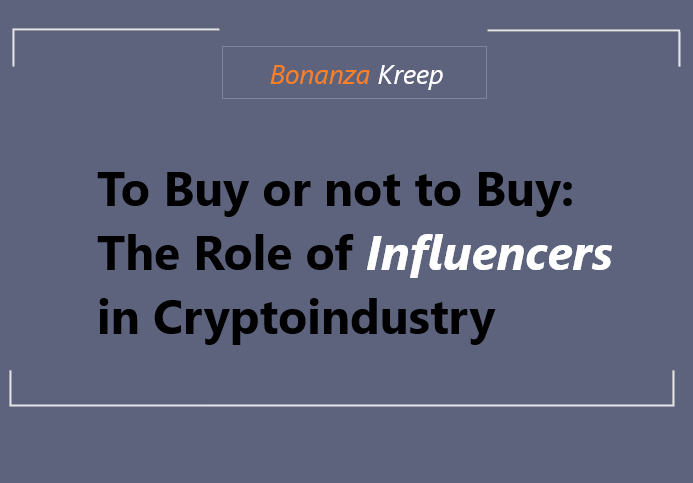 For Twitter, it is also becoming a major platform for cryptocurrency influencers. Below are some users worth following based on their current follower counts. 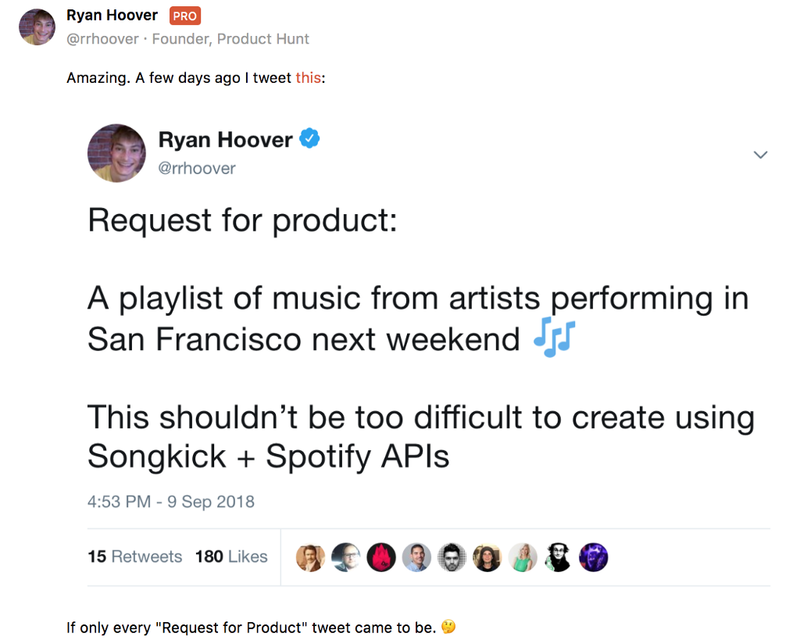 All of these users’ opinions are their own and should be looked at as such. 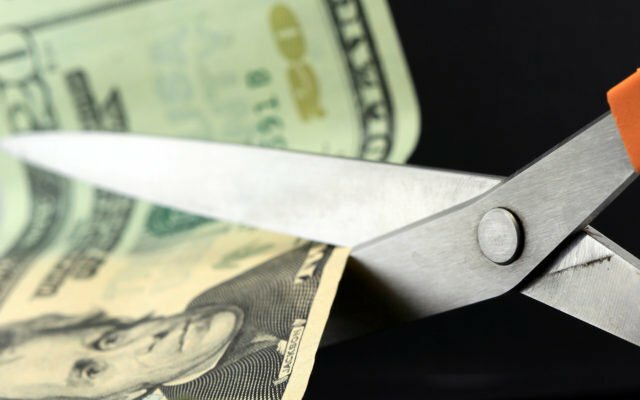 Bitcoin price (BTC) could continue dropping for the next two years, a new forecast which takes into account the possible effect of the next block reward halving has revealed. Luxcore (LUX), a blockchain solutions and services ecosystem, has announced cryptocurrency pundit John McAfee as CEO. In a tweet, British-American entrepreneur John McAfee wondered about the price of the last bitcoin. TokenPay (TPAY) CEO, Derek Capo, and veteran security Guru, John McAfee, with CEO of ModernChain and Oninute.Tech are going to be debating cryptocurrency adoption on Youtube. 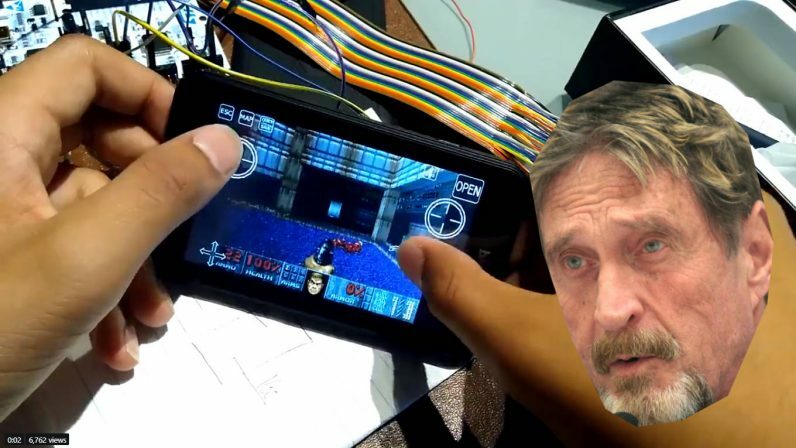 A fifteen-year-old has claimed to have successfully compromised the “unhackable” Bitfi hardware wallet endorsed by John McAfee. 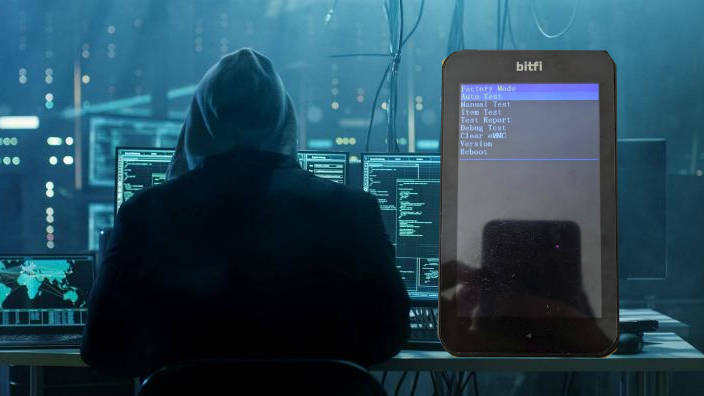 The first reports have been pouring in over the past 24 hours regarding the veracity of the claims made by BitFi the so-called “unhackable” hardware wallet. 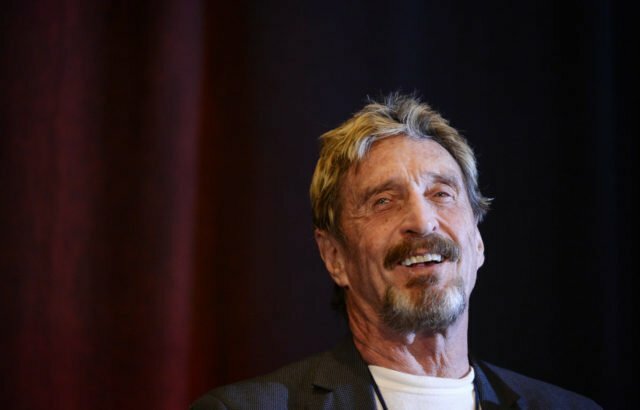 John McAfee and cryptocurrency hardware manufacturer Bitfi are facing heavy criticism after photos of the pair’s new wallet appeared online. For those who somehow missed the news about this extraordinary type of event, just a reminder: Blockchain Cruise is a global blockchain conference aboard the luxurious cruise vessel. 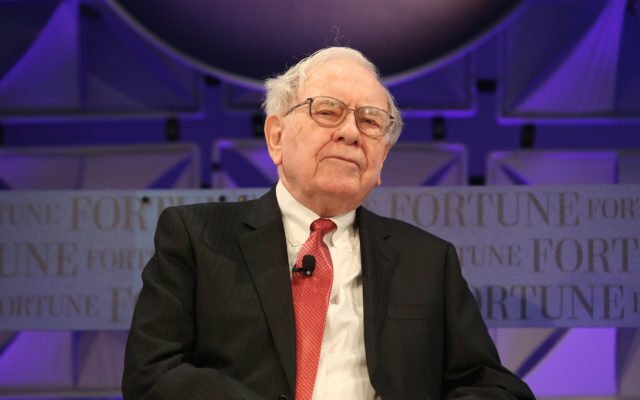 A “well-known cryptocurrency expert” has asked for a bet with Berkshire Hathaway that the price of a bitcoin will top the notorious crypto skeptic’s share price by 2023. 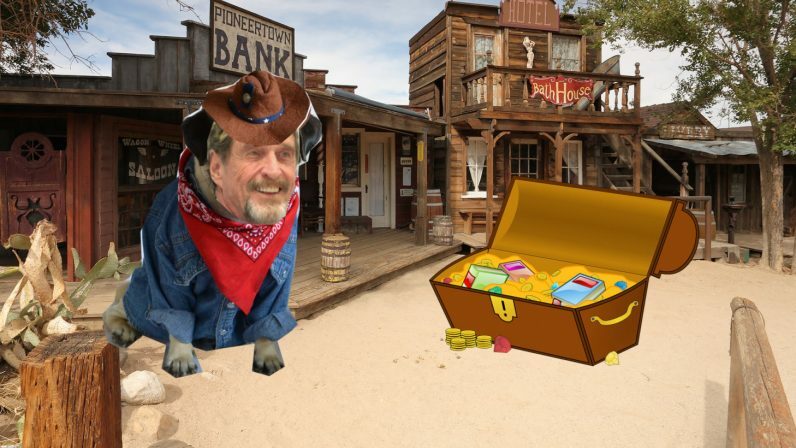 Cryptocurrency big daddy, John McAfee has declared his readiness to file legal charges against HITBTC, after the exchange allegedly refused to yield to his complains. 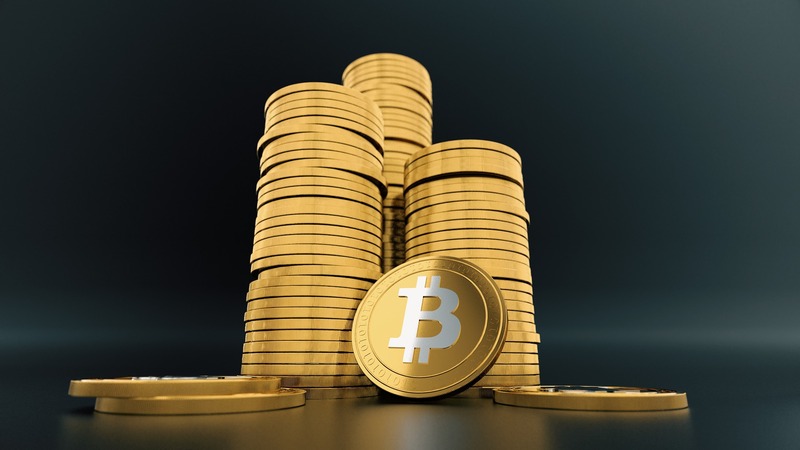 $223,186 is the price Bitcoin would need to be in order to convert the entire world supply of fiat currency, industry figures calculated July 2. 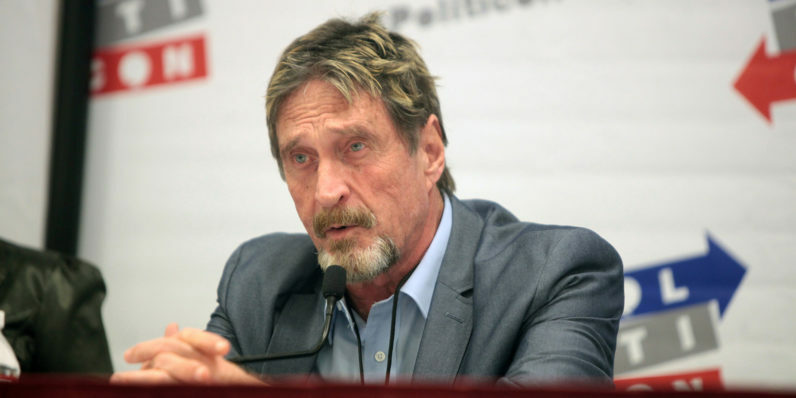 Crypto pundit, John McAfee, is speaking tough on HitBTC and other exchanges for not standing in defense of the poor whose funds are being carted away by hackers. 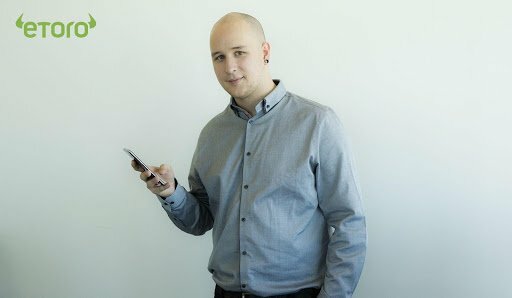 Here is the remaining interview that was not published by coindesk. John McAfee said in a tweet early this morning that he is "no longer working with ICOs" nor promoting them because of "threats" from SEC. It appears the days of John McAfee promoting initial coin offerings (ICOs) are over. 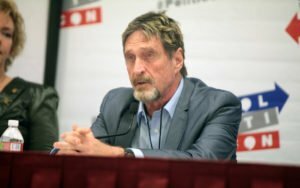 In a tweet on June 18, 2018, McAfee announced his decision to no longer work with ICOs. 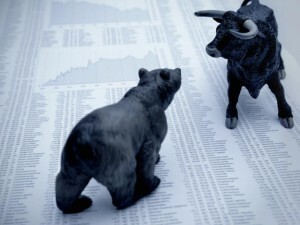 The crypto market has suffered such a strong bearish run in 2018 that the sentiment of many investors has become entirely pessimistic. 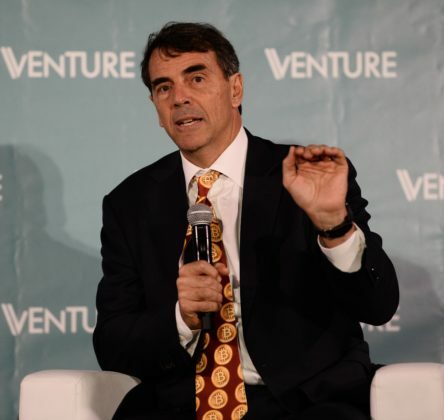 Billionaire venture capitalist, Tom Draper, has reiterated his prediction that Bitcoin will reach $250,000 by 2022, stating that “fiat is the past,” with both crypto and Bitcoin being the future.